Back in 2014, we were duly impressed with the inCharge, which made it easy to keep a tiny emergency USB charging cable on your keyring. 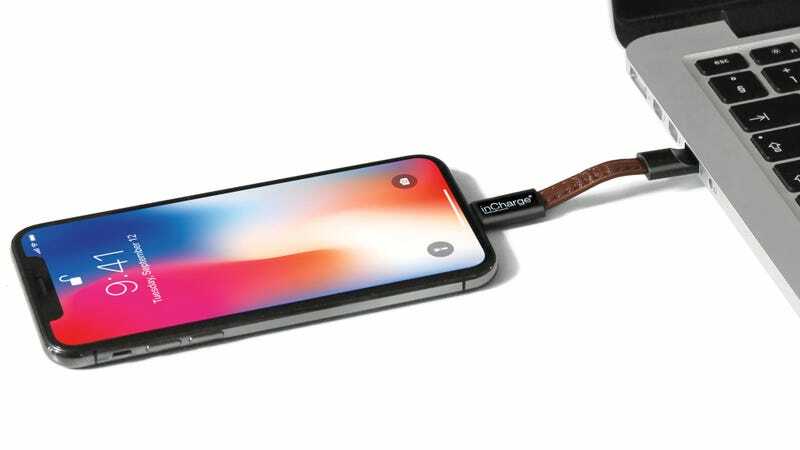 Four years later, its creators have found a way to improve the inCharge with a new version featuring a connector that works with both Lightning and microUSB ports so you don’t need to carry a separate cable for your non-Apple devices. The original inCharge featured a clever design with slim magnetic USB connectors tethered by a short cable so that when you were done syncing or charging a device, you didn’t have to wind up (and potentially damage) three feet of unnecessary cable. It wasn’t designed to replace the longer charging cable on your bedside table, but it was about as small and portable as a USB cable could get. An all-in-one Lightning and microUSB cable is a smart idea, and potentially a familiar-sounding one, because back in 2016 another company tried to crowdfund a similar solution. The LMcable ultimately had its funding suspended by Kickstarter, and no products were delivered to its backers, so why should you trust the inCharge Dual Indiegogo campaign to deliver? You shouldn’t. You should be sceptical of every product that goes the crowdfunding route, because there’s hundreds of things that can go wrong when bringing a piece of tech from the concept to final product stages. Pledging hundreds of pounds to products promising unproven technology demo’d in a nifty video is not a sound investment, but the creators of the inCharge Dual are selling their new cable for just $6 (£4.53) on Indiegogo. They’re not exactly reinventing the wheel either, just bringing a clever and useful upgrade to an existing product which they already successfully crowdfunded four years ago. A single cable that can replace the USB rat’s nest I keep in my bag? Sounds like it’s worth the risk.